The Rete Trentino Grande Guerra is a regional network composed of associations, museums and public and private institutions that deal with the study, protection and development of First World War heritage in Trentino. The Rete was founded in 2009 by the Italian War History Museum with the support of the Fondazione Cassa di Risparmio di Trento e Rovereto. It aims to consolidate cultural initiatives linked to the Great War in Trentino and increase the visibility of initiatives promoted by its affiliates. The War Museum coordinates the project and runs the administration office. The Rete is based on shared planning and the co-responsibility of its partners, while respecting the role and autonomy of each. The project aims to increase shared knowledge among the partners and to enhance each entity’s specific focus by pooling skills and resources in joint initiatives. Over the years, the Rete has initiated numerous projects in the fields of communication, training and the creation of services and cultural initiatives. The projects are supported by the Provincia autonoma di Trento and the Fondazione Cassa di Risparmio di Trento e Rovereto. Some projects involve members of the Rete working alongside one another. trentinograndeguerra.it site management: the official website of the Rete since 2010. Completely renovated in 2014. Collaboration with Trentino Marketing and the Aziende di promozione turistica (Tourism Promotion Companies) to create promotional materials. This is a circuit of 19 First World War museums, coordinated by the War Museum. Together, the museums create projects to improve the circuit, develop heritage and promote events and education. A yearly leaflet (in Italian, English and German). Creation of the TV series Museinvideo (2010, 20 episodes), production and broadcasting by RTTR. 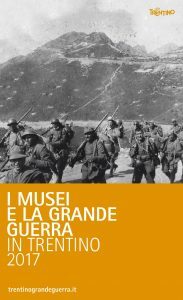 Guida ai musei della Grande Guerra in Trentino (2011) – Guide to Museums of the Great War in Trentino. Training sessions for museum educators. 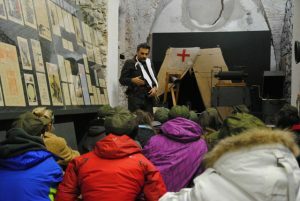 Educational project Animare la memoria della Grande Guerra (Bring the Memory of the Great War to Life), in collaboration with IPRASE: creation of theatre performances inside museums, educational workshops in schools and training sessions for teachers. 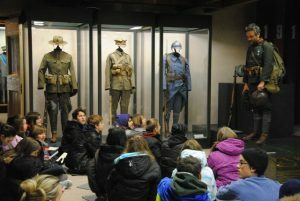 School tourism packageTrentino dalla guerra alla pace (Trentino from War to Peace), an educational visit to places with evidence of the First World War, such as forts, monuments, trenches and museums dedicated to the First World War; in collaboration with Trentino Marketing, Aziende per il Turismo di Rovereto e Vallagarina, Trento Monte Bondone Valle dei Laghi, Folgaria Lavarone Luserna, The Italian War History Museum, Fondazione Museo Storico del Trentino and Forte Belvedere-Gschwent. Booklet On the Tracks of the Great War in Trentino, with illustrations and animated videos. Project Descrivere, raccontare e interpretare. 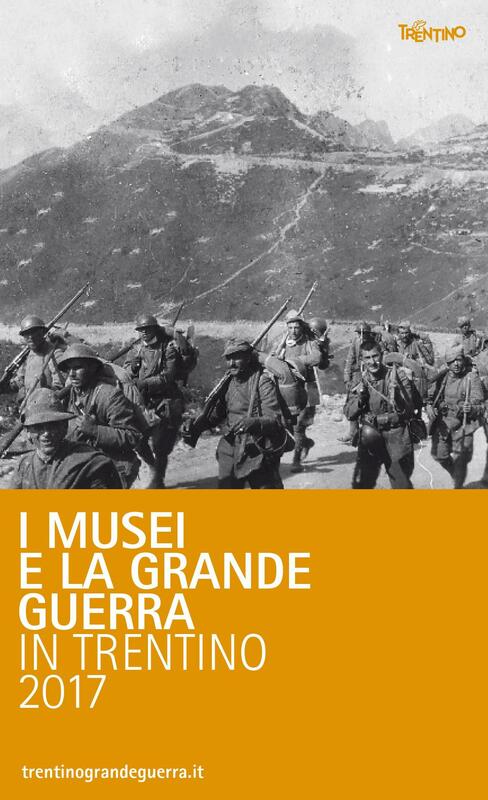 Nuovi strumenti informativi nei Musei della Grande Guerra in Trentino (Describing, Recounting and Interpreting: new information tools in the museums of the Great War in Trentino): creation of illustrated sheets and captions for children; booklets for individual museums, illustrative panels, maps and signs; creation of 19 video presentations for the museums and two for the Rete (2014-2015). Promoted and supported by the Provincia autonoma, coordinated by the War Museum in collaboration with the Soprintendenza per i beni culturali della Provincia (2015-2017). 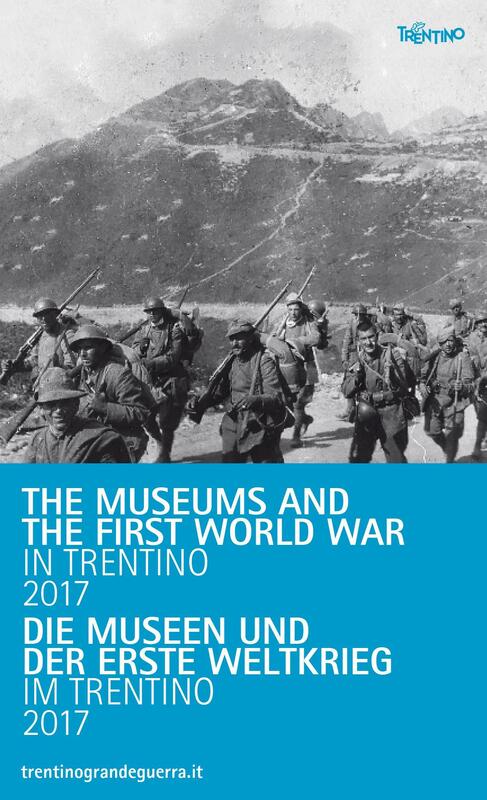 The Rovereto War Museum, in collaboration with other partners of the Rete, has promoted numerous training sessions for staff dealing with visitors to the area of Trentino and its museums. Two courses for Mountain Guides and Local Area Guides in collaboration with the Accademia della Montagna (2012 and 2013). Course for Aziende di promozione turistica (Tourism Promotion Companies) and tour operators (2014). Course for Rete Museum Operators (2015). Between 2010 and 2012, a large exhibition project was dedicated to Trentino at the end of the Great War entitled Landscapes of War: Trentino After the First World War. The project has led to the creation of 13 different photography exhibitions relating to as many local areas; 28 different exhibitions were held and in 2012, at the end of the project, there was an overall exhibition in Trento. The project led to the creation of a video and a photographic catalogue. Since 2012, the exhibition has been held in other places in diverse areas around Trentino. Thanks to reports from contacts of the Rete, a calendar of summer excursions with historical tour guides has been available for several years on www.trentinograndeguerra.it, proposed by the Apt and other bodies in the diverse areas of Trentino. Information on the war museum circuit.